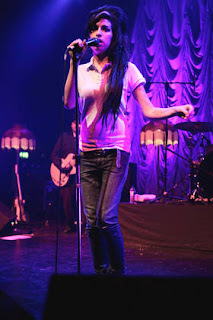 Much has been said about Amy Winehouse these past few days, thankfully many of the media comments and articles have focused on her incredible singing voice and musical contributions. Amy's addiction problems sadly seemed of more interest to the tabloid press in recent years and to often demonstrated how poorly understood these issues are by far to many people. This is the probably the earliest Ramones studio material in circulation. 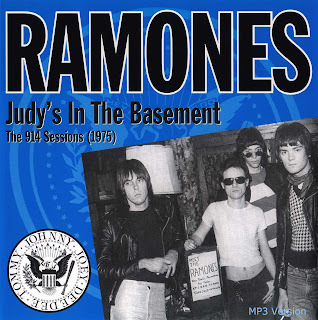 'Judy's In The Basement' was released by Hit & Run Records originally as a 10inch vinyl record and made in East Berlin. The liner notes state that the songs were produced by Tommy Erdelyi recorded September 19th, 1975 at 914 Studios, Blauvelt, New York. CD versions have also circulated using the vinyl artwork.